FreeDance is an important part of the Nia experience, yet a number of student express trepidation about it. But what if it was about dancing your way, and nothing else? What if someone gave you the invitation to let loose and get down? For our first Universal Dance party, we're doing just that by channeling the spirit of "Soul Train" through an experience informed by conscious dance. 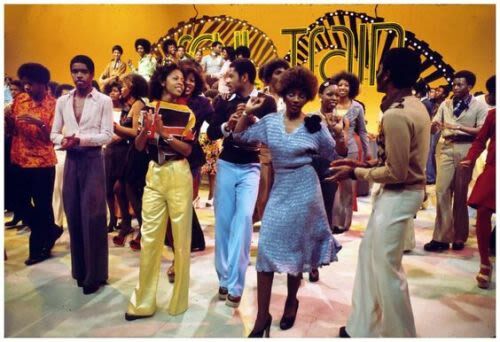 No TV series celebrated the joy of music, movement and the magic created when the two come together as beautifully as "Soul Train," the American dance and R&B music institution that aired for 35 years and was a weekend viewing staple in countless household across America. If you were a kid between 1971 and 2006, you may have at least heard of "Soul Train." And if you haven't, don't worry -- this is a terrific way to feel the joy in a welcoming, alcohol-free setting among friends.